Battlefield V details have been given right now during the EA Play event at E3 2018. Fans will be happy to know that DICE has understood what players want from the franchise and is bringing back some great things like insane destruction. In the multiplayer trailer shown off during the conference, the destruction was focused on a lot. For instance, tanks are as heavy duty as they should be and can ram through buildings with ease. This means that soldiers on foot will have to strategically figure out how they will maneuver around the map since camping out in a building doesn’t guarantee safety anymore. Instead, you will have to worry about tanks being able to not only blow through your building’s walls but simply plow on through. Battlefield V will feature maps from all across World War II. 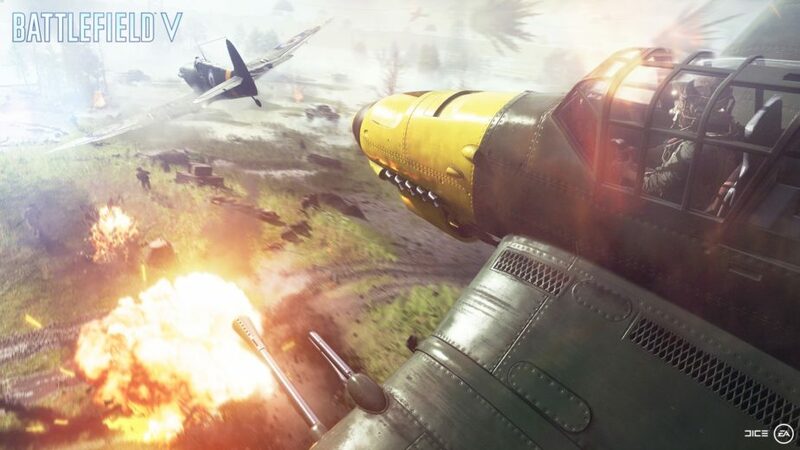 Unsurprisingly, Battlefield V will feature Battlefield Battle Royale. The official name for the mode wasn’t revealed during the EA Play conference at E3 2018 but we know that the fan favorite PUBG and Fortnite-inspired mode will be coming to the game this fall. It is unsure if the Battlefield Battle Royale mode will feature 100 players or how big the map(s) will be as details are scarce right now. DICE revealed that we will have to wait a bit longer to find out more about Battlefield V Battle Royale later this year. What fans won’t have to wait for is information regarding the singleplayer story mode. The developer revealed that we will catch a glimpse of one character’s individual storyline tomorrow morning at Microsoft’s Xbox E3 2018 briefing. That sure seems to hint that Battlefield V will continue the trend started in Battlefield 1 of having several little vignette storylines from across the war make up the singleplayer component. You can find out more about the game here as we approach its release date on October 16th.